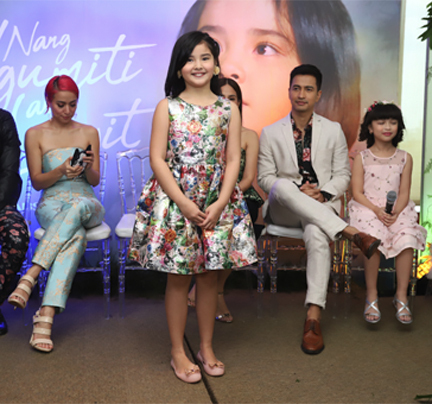 ABS-CBN offers another touching story of a child who will remind viewers of the importance of forgiveness to save the family in the new daytime series, Nang Ngumiti Ang Langit, premiering today. The cast of ABS-CBN's latest soap that airs starting today. 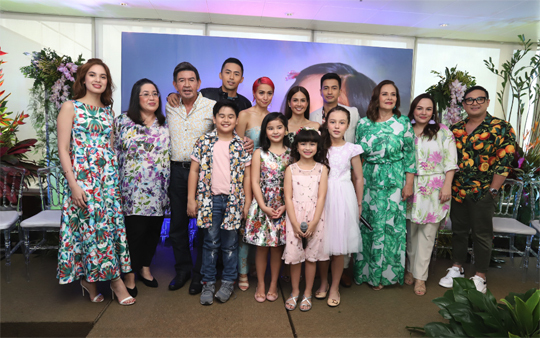 Directed by FM Reyes and Marinette Natividad-de Guzman, Nang Ngumiti ang Langit is led by premiere actors RK Bagatsing, Cristine Reyes, Kaye Abad, Enzo Pineda, Pilar Pilapil, Ces Quesada, Matet de Leon, and Keempee de Leon. Also joining the daytime series are child stars Heart Ramos, Miguel Vergara, and Krystal Mejes. Viewers will get to see a new face that will light up their mornings in Mikmik (Sophia Reola), an enthusiastic girl who grew up with her loving mother Ella (Kaye Abad). Their happy lives are disrupted when her mother gets ill with leukemia. In her pursuit to help her mother live, she learns the truth that her mother is an illegitimate child of the Salvadors, one of the wealthiest families in the country. 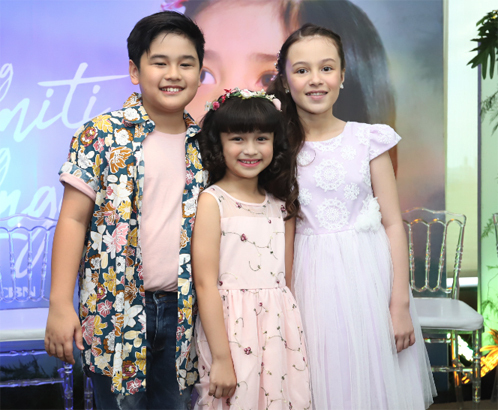 Child star Sophia Reola topbills 'Nang Ngumiti Ang Langit,' a daytime series that tackles the struggles of a child who just wants to be loved by the people she considers her family. She tries to ask for help from Divina (Pilar Pilapil), the Salvador matriarch, but she will be turned down until her mother dies. She then decides to live with the Salvadors in the hopes of being accepted and to find the love she received from her mother. But as soon as she steps in the house of the Salvadors, Divina and Katrina (Cristine Reyes) make sure that Mikmik pays for her father’s sin, Michael (RK Bagatsing), son of their mortal enemy, who was accused of killing Divina’s son and Katrina’s husband, Eric (Rafa Siguion-Reyna). Until when will Mikmik pay for the sins that are not hers? Will her dreams of having a complete family come true? When will she meet her father? Another unforgettable story will be offered under the production of Ruel S. Bayani, who is behind the highly talked about series Wildflower, Hawak Kamay, Langit Lupa, Two Wives, Pasion de Amor, Halik, Precious Hearts Romance Presents :Araw Gabi, and Magpahanggang Wakas.